Whenever we look at any Biblical doctrine we must always begin with what is clearly taught in the Bible before we look at what may be implied but not directly stated. If we begin to formulate doctrine based on what we want to read into a text of scripture then we have missed the mark where true Biblical exegesis is concerned. We always begin with what is clearly stated in the Bible and then look at the context and the co-texts. We know that scripture is of no private interpretation. In the whole area of Bible prophecy the timing of the rapture has been a constant source of irritation, argument and division amongst Evangelical Bible-believing scholars many of whom are Godly, Biblically sound and sincere men. However, if the Pre-Tribulation rapture is not correct or not clearly stated in the scriptures then the Body of Christ would not be prepared for the coming global persecution of the saints. Tragically many who have held steadfastly to a Pre-Tribulation rapture would be sadly disillusioned and in many cases fall away from the faith because they were taught they would be raptured out before the Great Tribulation began. The purpose of these studies is to look at the texts used by Pre-Tribulation Rapture proponents to see whether what they say is clearly taught in the texts they quote. Again we will look at these texts they use in their context and in the light of their co-texts. According to other reliable historical sources, including the actual teaching of many of the Pre-Nicene Fathers themselves, the early Church Fathers did not teach a Pre-Tribulation rapture. Some also taught that the Church in the Last Days would suffer persecution at the hands of the Antichrist. Some of these men who did not teach a Pre-Tribulation Rapture of the Church were Clement of Rome (AD96). The Shepherd of Hermes (AD125). Irenaeus (AD 180). Hippolytus (AD 200). Tertullian (AD 207). However, our first and foremost frame of reference must be the scriptures themselves. Even the proponents of the Pre-Tribulation Rapture will tell you that the Pre-Nicene Fathers did teach a Pre-Tribulation rapture and point you to their writings but they themselves, will admit that in the writings of the fathers a Pre-Tribulation rapture was not specifically mentioned but possibly implied. They do the same with scripture! For the Christians in the western democracies, especially in America, the idea of persecution is still something that has been somehow relegated to only happening to those in places like China, Noth Korea, Pakistan and throughout the Middle East Islamic world. Furthermore to even consider the possibility that the Antichrist’s Beast Empire could persecute the saints is also not on the radar of multitudes of conservative, Evangelical Churches in the Western democracies, those countries that have traditionally been associated with Christianity historically. When you look at the “Left Behind” books and movies it is little wonder that the persecution under the Antichrist’s empire has been relegated to the Tribulation Saints. The reality in today’s world is that the Beast Empire is already persecuting the saints and that persecution is coming closer and closer to the Church in the western democracies. Much has been made of the “Tribulation Saints” in Christian books, commentaries and in Christian movies yet somehow they have been relegated to those who are saved during the Tribulation after the rapture of the Church yet the Bible does not make that distinction.one of the chief agents in promoting this whole idea of ‘tribulation saints’ was Tim Lehaye who produced the Left Behind series of books and videos. Sadly many Christians who have read the books and seen the movies have been convinced that when things really hot up in regards to persecution that somehow they will escape. This idea sits well with middle-class comfortable Christianity in the west. Multitudes of faithful believers are already in Great Tribulation. What more can the beast empire of Antichrist do that is not already being done to Christians by ISIS and all over the Islamic world? Those teaching a pre-tribulation rapture need to do a reality check on themselves and on their congregations and be prepared for persecution. Now you might say that the parable of the wise and foolish virgins could make that distinction concerning the Tribulation Saints, however, when you look at the parable it was the wise virgins that went into the wedding feast because they not only had become partakers of the Holy Spirit but had continued to walk in the power of the Holy Spirit all of their lives (The lamps being their human spirits and the oil being the Holy Spirit). The difference between the wise and the foolish virgins was that the wise ones had made sure they had the “oil” of the Holy Spirit within them and had continued to walk in the Spirit, persevering to the end, and were thoroughly saved. The foolish ones did not continue to walk in the Spirit even though they had initially partaken of the Holy Spirit. All being “virgins” implied that they were all pledged to Christ but only the ones who continued to live in the power and light of the Holy Spirit went into the wedding feast. The implication of this parable is that there will be those Christians that neglect to continue to walk in the Holy Spirit who had initially sanctified them. As the writer to the Hebrews said; “For in the case of those who have once been enlightened and have tasted of the heavenly gift and have been made partakers of the Holy Spirit, and have tasted the good word of God and the powers of the age to come, and then have fallen away, it is impossible to renew them again to repentance, since they again crucify to themselves the Son of God and put Him to open shame. (Hebrews 6:4-6). However, we need to be clear that not one genuine true child of God will ever be left behind at the rapture. Indeed Paul said, “Listen, I tell you a mystery: We will not all sleep, but we will all be changed-in a flash, in the twinkling of an eye, at the last trumpet. 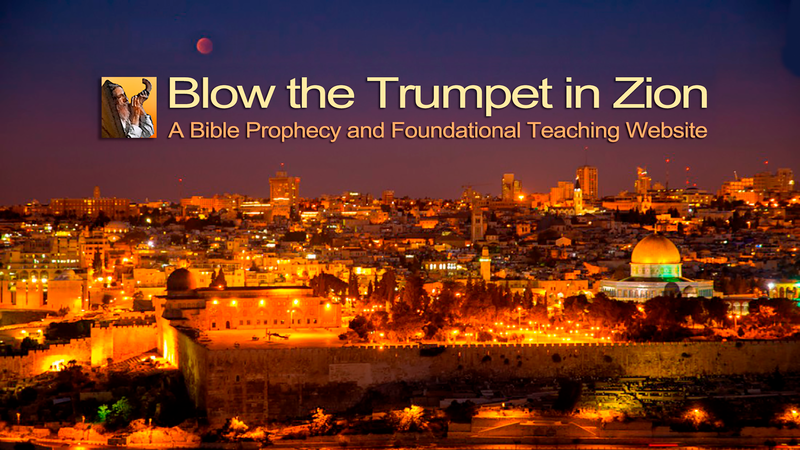 For the trumpet will sound, the dead will be raised imperishable, and we will be changed” (1 Corinthians 15:51-52) Notice the word “all” implying that every truly born again, blood washed saint will be caught up to meet the Lord in the air at His Second Coming. It is interesting to note what the Lord Jesus said to the foolish virgins, “I tell you the truth, I don’t know you.” It would seem that they had never developed a real and genuine relationship with the Lord Jesus. This parable is one that cannot be ignored even by those of us who claim to know the Lord Jesus Christ. Yet, it should be said that if you really want to stay saved then there is no way you could ever be lost! Every one of us as believers at one time or another struggle with temptation and sin and we are constantly at war with the world, the flesh and the devil and sometimes the conflict is so severe and fierce that we can be tempted to think that God has abandoned us. Yet if we continue to keep short accounts with God, trust our souls to our faithful creator and continue to persevere in faith even when under trial and persecution then the Lord will sustain and keep us by the power of His blessed Holy Spirit in whatever circumstances we may find ourselves in. Remember the Lord Jesus Himself also said that, “He who has persevered to the end will be saved.” (Matthew 24:13) We are saved now by faith in Christ but in order to stay saved we must persevere to the end! Some pre-tribulation proponents will tell you that the Church never appears after Revelation chapter four verse one. They say that when the apostle John was caught up to heaven that this is a reference to the pret-trib rapture of the Church yet twice in the book of revelation John says very clearly, “This calls for patient endurance and faithfulness on the part of the saints.” (Revelation 13:10) The context of this exhortation is in Revelation chapter thirteen where the saints are being persecuted by the Antichrist’s beast empire. Again John also says, “This calls for patient endurance on the part of the saints who obey God’s commandments and remain faithful to Jesus.” (Revelation 14:12) It goes on to say, “Then I heard a voice from heaven say, “Write: Blessed are the dead who die in the Lord from now on. Yes says the Spirit, they will rest from their labour, for their deeds will follow them.” (Vs.13) clearly these references are to the saints (believers). To restrict these saints to only the ones saved during the Great Tribulation cannot be supported by scripture. The Church most certainly is on earth after Revelation chapter four verse one. It is clear that God’s judgements are now falling on the nations of this world. All over the world you have numerous disasters of one kind or another, earthquakes, tsunami’s, typhoons, wars, famines and diseases, not to mention the economic upheavals rapidly approaching yet these are not the bowls of God’s Wrath. As the Church goes up to meet the Lord at His Coming the bowls of His wrath will be poured out without measure and then He will return with His saints to fight the Antichrist and his armies. After that the Lord Jesus will inaugurate His Millennial reign. The Great Tribulation by enlarge will be the wrath of Satan and only at the very end does it become the Wrath of God!